Electronic Mail Systems (EMSs) have been a boon to organizational productivity and yet, EMS users may suffer from problems of electronic junk mail, information overflow, and disrupted communication flows. Intelligent EMSs, or Knowledge- based Message Systems (KMSs), enhance electronic mail in organizations by automatically selecting mail addressees, managing incoming mail, and routing messages, among other functions. 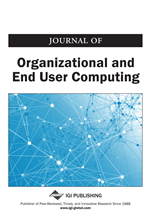 This paper describes the benefits of this new technology and presents a prototype KMS called XMAIL (eXpert MAIL) developed at the University of Mississippi which is specifically designed for microcomputer systems on a Local Area Network. A scenario using XMAIL demonstrates the usefulness of the prototype and new technology.